"The diet worked miracles for my skin and overall mood. I didn't realize that sugar caused my skin to be irritated and itchy. Also, my mood was more level throughout the day, with not as many highs and lows. I'm very happy with the weight loss results as well!" Dr. Oz and Brooke review how sugar ages the skin and what you can do to break your sugar addiction! Watch Brooke and Dr. Oz go through The Sugar Detox week by week and learn how to lose weight, feel great and look years younger! The Western world has an addiction problem, but it’s not just with drugs or alcohol—it's with sugar. Sugar is in almost everything we eat—not just in the highly processed, fructose-soaked snacks we love, but hidden in “healthier” foods that most people wouldn’t expect, such as bread, fruit, and dairy. 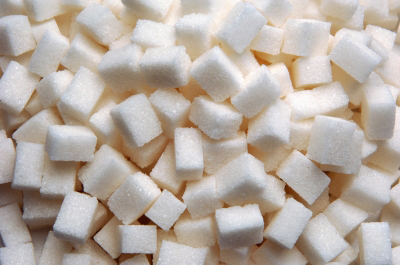 The average westerner consumes more than seventy pounds of sugar each year, even though a high-sugar diet can be detrimental to nearly all areas of health and beauty. The side effects aren’t just weight gain—they’re premature aging and increased risk of diabetes, atherosclerosis, heart disease, and even cataracts. In The Sugar Detox: Lose Weight, Feel Great, and Look Years Younger by nutritionist Brooke Alpert and dermatologist Dr. Patricia Farris, readers are given everything they need to know to begin a healthier lifestyle through an easy, low-sugar diet. 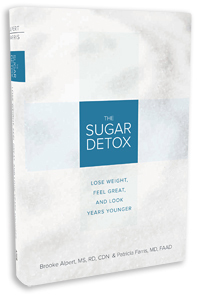 The Sugar Detox contains a comprehensive, one-month plan to wean readers of their sugar cravings. The plan starts with the three-day Sugar Fix—three days with no sugar, no exceptions. It’s accompanied by the three-day Skin Fix, a pampering regimen of soothing skin treatments such as sea salt baths and natural antioxidant masks to counteract skin damage. Once the initial cleanse has been completed, The Sugar Detox provides a four-week schedule of menu plans and fifty recipes, arming readers with information on which foods to eat, which foods to avoid, and how it all affects their health and appearance. 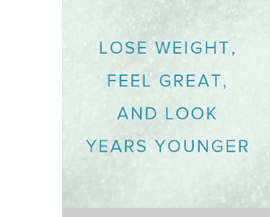 By eliminating sugar and incorporating small changes, people can lead a healthier lifestyle and look years younger.